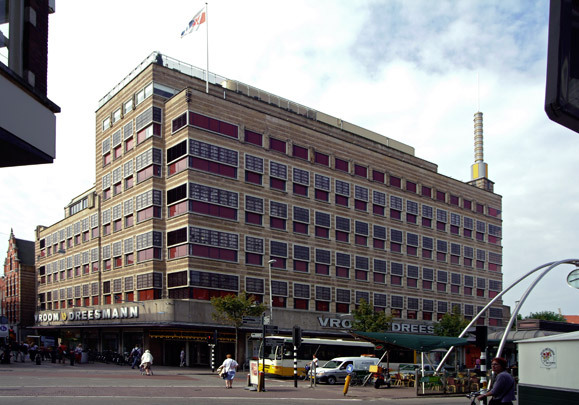 This department store is conspicuously sited within the urban fabric, leaving just enough space for a historically valuable chemist's shop. The massive building is enlivened with bands of colour and rounded corners. Its windows, an unusual element in a department store, have since been blocked in; the light-giving tower, on the other hand, was recently restored. The style is reworked Amsterdam School by a local architect in a traditional practice.